I have lived in Lockport my entire life so far, and the one constant thing I remember for all of those years is Sunny's Family Restaurant. While Transit Road seems to constantly change around it, Sunny's has remained exactly the same. That is a testament to how good everything from the food to the service is in this small town restaurant that has seen nothing but stability over the years, while the big names around it come and go. I think there is a common theme that runs through the better restaurants in Lockport that local consumers seem to be missing. Sunny's (just like Cammarata's, Shamus, and Garlock's) is a time machine that people just love. Whenever I walk into Sunny's, I feel like I just walked back into the 1970s, and I love feeling like I just walked back into the 1970s. Along with its incredible ambiance, Sunny's also has a throwback menu that tastes like the 1970s. Of course, my preferences are the subs and fries, which have not changed for as long as I can remember. The fish fry at Sunny's is also excellent, and that is because it is a simple meal that is cooked just right. There is nothing fancy about what Sunny's does, and that is meant as the utmost compliment. When you order something at Sunny's, you are going to get exactly what you expect without any surprises. I always liked that about Sunny's because I am the kind of person who hates it when I order a burger or something and the restaurant throws extra condiments or toppings on there I would never want. Sunny's keeps it simple, and I can appreciate that. Sunny's does not get the credit it deserves for being one of the only pizza places in the Lockport area to be around for 45 years. Once again, Sunny's has watched probably a hundred area pizza places come and go, while its simple approach to a good pizza has never changed. The reason Sunny's has survived the test of time is because Sunny's has encapsulated itself in an era when everything was simple and good. It is really hard to argue with a restaurant that can do that. When you walk into Sunny's, immediately you are engaged in friendly conversation by whoever is there to take your order. Of course, you get the usual "How can I help you?" welcome when you first arrive. But every time I have gone there, I always managed to talk to an employee who throws in a little friendly chatter with the order process. There are no servers at Sunny's, but the staff still manages to find a way to make you feel welcome. Sunny's is one of those places where it is hard to have a bad experience, at least for me. I have been going there since the day it was opened, and I can honestly say I have always had good food and good service. Sunny's simple approach to food preparation and delivery is something that other restaurants should look at when trying to figure out how they can survive for five decades and longer. 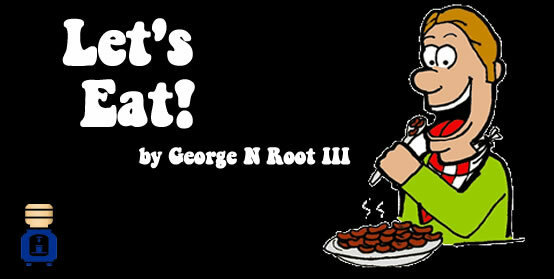 George N Root III is a food lover and frequents local establishments. Follow him on Twitter @georgenroot3, or send him a message at georgenroot3@gmail.com.